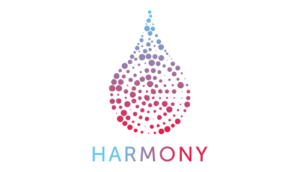 HARMONY aims at capturing, integrating, analysing and harmonising anonymous patient data from high-quality multidisciplinary sources to unlock valuable knowledge on hematological diseases (i.e. multiple myeloma, acute myeloid leukemia, acute lymphoblastic leukemia, chronic lymphocytic leukemia, non-Hodgkins lymphoma, myelodysplastic syndromes, and pediatric HMs) for a better prognosis and quicker life-saving decisions for patients. The HARMONY project has an initial budget of €40M distributed across a total of 51 partners from the clinical, academic, pharmaceutical, patient, HTA, regulatory, economical, and ethical fields, mainly sponsored by the European Commission and the European pharmaceutical industry (via EFPIA) under the auspices of the Innovative Medicines Initiative Joint Undertaking (IMI JU).